This is your opportunity for all Land Bankers and Developers. The north facing site has an area of 16835m2. 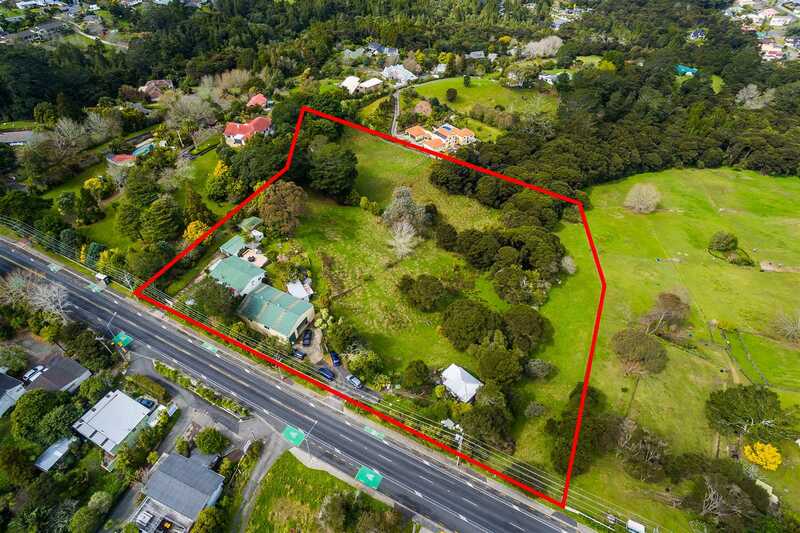 Close to Greenhithe Village and primary school, Kristin, Pinehurst, Albany Junior and Albany Senior schools and Massey University, plus easy access to the motorway network. Main Home: The dwelling offers 3 bedrooms, a bathroom and a small office and an open plan living arrangement with a wood fire. Mains gas supply heats the water and cooks the food. Separate double garage. Minor Household Unit: 2 bedroom, Own parking, power meter but shared water. Barn & Workshop: 218m² (more or less) floor area, 4.8m high ceiling with the added advantage of a mezzanine loft, variety of ideas you can carry out such as horticulture, agriculture farming activities, a home business (probably fits 6 trucks and more) and many more. For further information please call now.